Out of scale, but posed briefly on my ‘HO’ trestle bridge the Broadway 2-8-0 has had a repaint from its Christmas livery. My thoughts are a bit random at this moment, it being just a few days before Christmas. 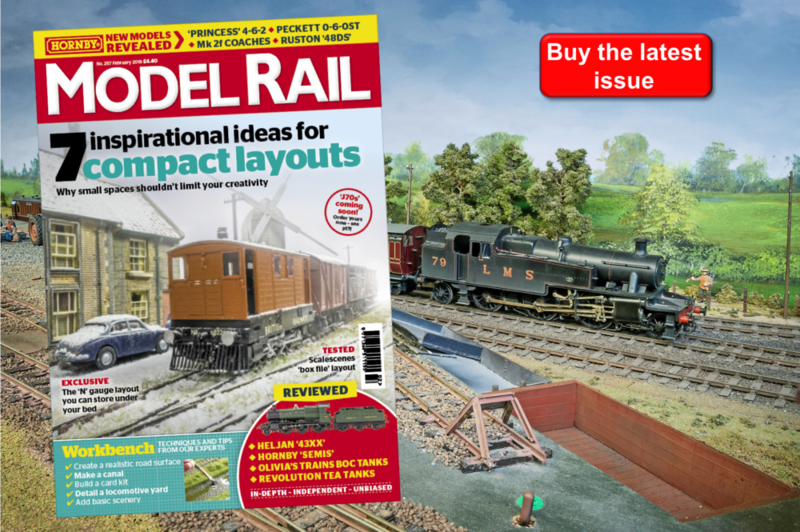 I’ve still got lots to do although, happily, I’m well ahead with my Model Rail magazine commitments as we’re putting the February 2019 issue to bed before the holiday break. Among the jobs I’m planning for the break is an overhaul of my layout. I need to tidy up and re-box quite a lot of models before I can even start to carry out some repairs. I need to bring the lower level with its three storage loops back into use, That will involve some tweaking of the track and gradients and some re-wiring to overcome apparent dead spots. I also want to get some lights under there and I’ll be using the LED strips which Chris Gadsby is using on his latest project. You’ll need to see the February issue when it comes out, for more details. Digging around underneath the layout revealed a crate containing my favourite ‘O16.5’ North American models, which haven’t been out since their last run on the late Keith Willows’ “Simply Narrow Gauge’ layout several years ago. There’s quite a story behind the White Pass 2-8-0 as it was a really lucky purchase. It’s a Christmas release by Broadway Limited, one of the top US manufacturers but despite its pedigree – it has full DCC sound which also works on analogue – it cost me around £70 about ten years ago because it was a Christmas left-over on sale at Easter! A blow over with matt black and some White Pass & Yukon Route decals transformed it. 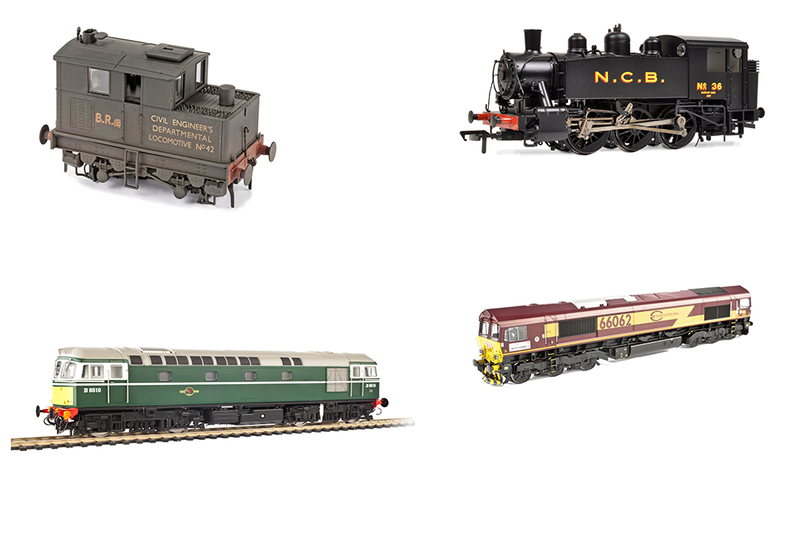 The passenger cars are the standard Bachmann product, bought undecorated and suitably decalled. I also resprayed the grey roofs, as the WPYR has boxcar red roofs. I haven’t had anywhere to run it since I moved house and left behind my garden railway but I keep thinking I might just do something along the platform at the Station House. The other picture is from my last research outing of the year, to Wisbech, back when the weather was still warm and sunny. I was looking for familiar locations along the Wisbech & Upwell tramway and hoping to find buildings that were worth modelling. The results of my walkabouts in the Fenland capital will, no doubt, appear in the magazine during 2019. Much has disappeared in the 50 since Beeching’s railway closures, so old railway routes are often difficult to follow. One learns to keep one’s eyes peeled for clues. Few are more difficult than the W&U for it had no major earthworks to stand the test of time, the canal which it followed has been filled in, and some of the road layouts altered. At Elm, I strayed a few yards off the tramway’s route to look at an attractive old building and stumbled across a minor tramway relic. These two metal structures were perhaps parts of a village sign or some other marker at the village entrance and they are clearly made from tramway rails, with the flangeway plain to see. What’s particularly interesting is that they must have been part of the track from the nearby road crossing (the Duke of Wellington crossing) as the main parts of the tramway were actually laid with normal bullhead rail. Only the road crossings would have needed the special tramway rails. These bits of rail and the small brick-built goods office at Outwell are now the only relics of the actual tramway to survive ‘on site’, while the restored tramcar No. 7 is at the North Norfolk Railway. HAPPY CHRISTMAS AND A GOOD 2019 TO ALL!